An important feature of your website is to create a uniformed look throughout, and with the customized templates on the WHMCS platform, you can give your business the professional look and feel that you need to gain dependable clients. You can choose from one of the many WHMCS themes for your online billing systems to give your clients an intuitive, reliable interface for payment and billing. Your payment option may very well be the most important part of your website to verify your credibility and reliability. Automated online billing systems let you devote more time to your customers and growing your business. WHMCS is a leading provider of billing systems automation software. The WHMCS themes will give your website the ability to deliver style, confidence, and dependability because it will show that you are dedicated to providing your clients with the best in service, support, and web design. Billing systems can be difficult to manage without software like WHMCS to manage invoices, estimate quotes, instantly create accounts, and register domains. Licensing WHMCS takes away the need to crunch numbers and manually track inventory stock, as well as providing you with the tools to make your website creatively and professionally designed. If you need a new theme for your business, you can build the website from the ground up with a customized look and feel. You can add your personal touch with a logo or business design to help brand your business and make it more recognizable to your customers. One of the most important aspects of your e-commerce or web hosting business is its ability to attract customers with an intuitive, user-friendly interface and the professional appearance provided by the WHMCS themes, and an array of product offerings. With WHMCS, you can give your customers added peace of mind about the stability and security of your business, and you can also provide them with a professional website from start to finish. Chances are that you may have experienced a need to pay your invoices or check on your transactions while you are away from your desk. If this is the case for you and your clients, you may want to consider licensing WHMCS because it will allow you the opportunity to remotely access your billing systems. 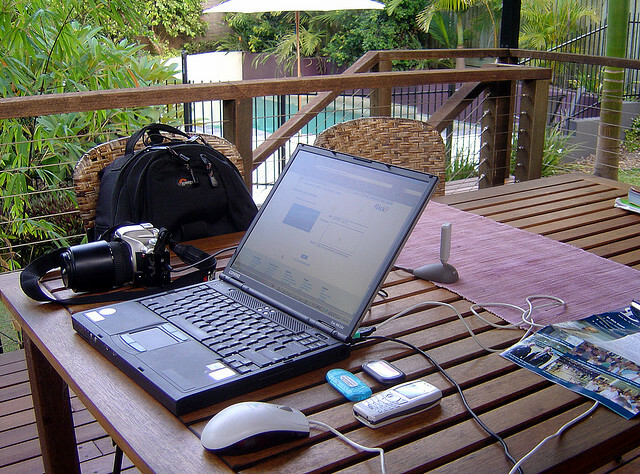 If you find yourself in a situation where you often need to look at your information while you are away from your computer, then WHMCS is the right choice for you because you can access bills via the iPhone and Android with an optional WHMCS module. Accessing your WHMCS billing systems away form your desk can help you keep track of what is going on with your business even while you are away. A WHMCS license will give you all the tools that you need to integrate an automated billing system along with customized account creation and unlimited system support. Since so much communication is done from a smartphone, the WHMCS module for the iPhone and Android will give you a distinct advantage to monitoring and managing your database. WHMCS makes it easy for resellers and hosting providers to receive payments on time. The goal of the WHMCS software program is to give administrators all the tools that they need to automate billing services and ensure that hosting companies can increase their revenue by accepting and processing payments as quickly as possible. A WHMCS license will not only provide you with mobile access to your invoices, it will also give you a number of features and WHMCS plugins that automate account provisioning to make for easy account creation and domain hosting. Billing systems are difficult to manage without WHMCS, but if you install a WHMCS license, you can enjoy all of the benefits of automated billing systems and account management. Web hosting is becoming more popular as the years pass because the demand for websites is growing by the minute. Many people are finding it lucrative to develop an e-commerce business that will allow them to sell products and services online without having to spend the funds to open a brick and mortar business. Entrepreneurs are taking full advantage of the Internet as they prepare to launch new businesses and promote new products that are exclusively available online. The WHMCS billing system can eliminate tedious and unnecessary tasks from your daily routine to free up more time to get your business moving in the most productive direction. WHMCS is one of the automated online billing systems that allows an administrator to automate billing tasks, create customized invoices, offer flexible promotions, and a myriad of other billing related tasks. In addition, you can use online billing systems to provide your customers with the very latest in web technology and security so that the online purchasing experience will be as reliable as possible. 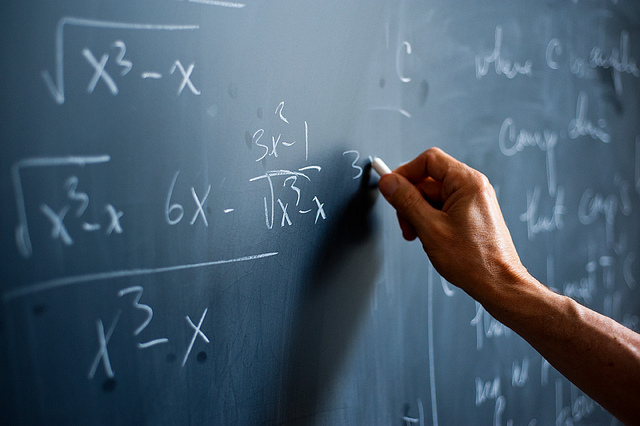 WHMCS requires IonCube from a hosting provider to ensure the optimal performance of the billing system. Running WHMCS is simple and straightforward, and they offer outstanding support services in the event that you need assistance managing your billing system. The features on this program continue to be updated with the most advanced security features and the newest waves of technology so ensure the most sophisticated, professional virtual environment for your clients. Licensing the WHMCS software gives you the ability to offer a myriad of new features, applications, and plug-ins to your customers, and online billing systems can help expand your client base and give your customers confidence in the products and services that you offer. It is important to remember that with any WHMCS billing system, you should become as knowledgeable as you can on the mechanics of the program before installation so you can maximize the benefits of using this sound piece of online billing systems software. 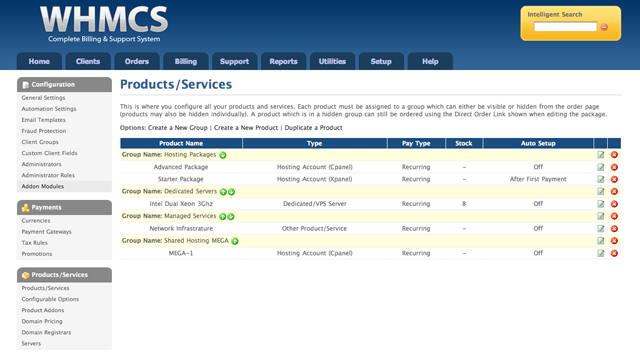 Hosting billing systems has never been simpler than with the WHMCS software program. With WHMCS, you can completely automate your billing systems, easily create accounts, and create additional hosting opportunities by adding customized plug-ins to your control panel. Implementing new features on your billing systems used to be a complicated process that involved decoding functions to see how they worked, but now with the API (Advanced Programming Interface), you can simplify your web hosting experience by adding new plug-ins instantly. WHMCS is one of the billing systems that operate off of the Advanced Programming Interface (API) and allows you to easily apply new settings, features, and plug-ins to your control panel. There are many different plug-ins that you can select from to upgrade your control panel and offer more variety to your clients. For example, the WHMCS billing systems can be connected to Word Press to give your users the ability to use one of the most popular blogging sites in conjunction with the other WHMCS service. Hosting billing systems is much easier and more effective with API since it allows you to give clients so much more than you would have before. 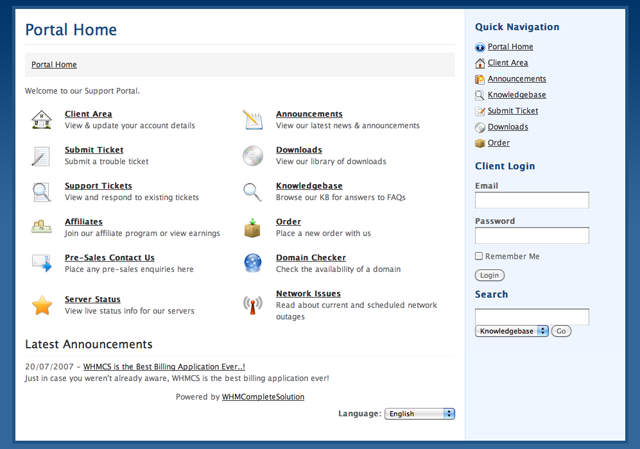 Whether you want to add something extra to your billing systems or you want to be able to complete tasks more simply and expand the opportunities for hosting billing systems, licensing WHMCS gives you the opportunity to select between an array of different plug-ins that have been adapted perfectly for the WHMCS software program to give you the maximum in functionality and usability. The API interface allows you to execute functions and perform actions in WHMCS through external programs, applications, and scripts. WHMCS has provided their customers with the ability to not only use one of the most exceptional billing systems created but also to take advantage of the wide selection of additional plug-ins and applications available to give clients more selection while hosting the billing systems. Licensing WHMCS is one of the most effective ways to manage your billing systems and automate many of the daily tasks that take time, money, and resources from your hosting business. Many people are trying to sidestep the cost of the program by buying a WHMCS nulled version instead of licensing the software legally. This can cause a whole host of problems because it can lead to fines and unethical business practices. WHMCS does not have to be purchased outright to benefit from their online billing systems and automated account creation services. You can lease a license instead of downloading a WHMCS nulled version. This can lead to a more stable virtual environment since you do not have to worry about anyone finding out that you have a WHMCS nulled version and either revoking it and fining you or worse, informing your clients that you are unethical and did not pay for the software. In addition, one of the best features on the WHMCS platform is the ability of the software to constantly update with improvements and advanced safety features. The team members at WHMCS work diligently to provide solutions to common problems and the most up-to-date virus protection for online billing systems. If you obtain a WHMCS nulled copy, you will not benefit from these advancements to the online billing systems, and your system can be shut down at any time pending that someone finds out that it is not legally licensed. If you want to find a cost-effective way to use the WHMCS online billing systems, leasing may be the best option for you be able to fully utilize the advantages of one of the most excellent billing systems on the market today. Hosting billing systems is a great way to expand your business as long as you use legally licensed materials to benefit from all of the features, updates, and security settings available on the WHMCS platform. An automated billing system is one of the best ways to ensure that your business remains profitable and can utilize all of the security features and technology advancements offered by the software programs. If you do choose to integrate one of these online billing systems into your website control panel or e-commerce business, you will need to make sure that the billing system you choose will provide you with the most comprehensive support in the event that you need help adjusting to the software. Finding support for some of the common problems found with integrating into a new billing system may not be as easy to come by as you might think. 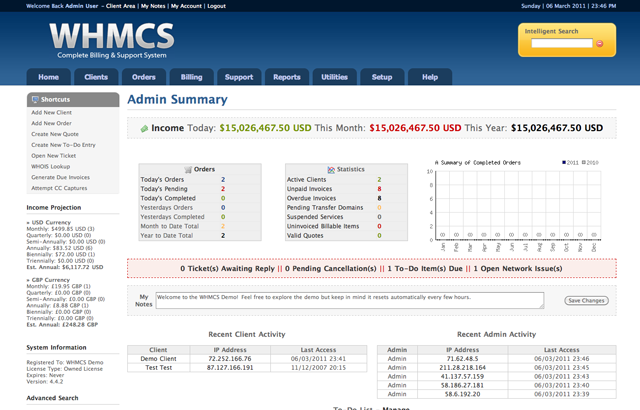 With WHMCS, you can ensure that you have multi-level support including resources on Wikipedia and Community Forums that will allow you to find out information, view questions and answers posted by other users, and ask your own questions to the knowledgeable support WHMCS support staff on online billing systems. If you have difficulty installing the WHMCS billing system software onto your system, you can hire professionals to integrate the software for you at a very reasonable cost. The reason that the WHMCS support system is so effective is because you have many resources that you can peruse to find the answers to any issue that may arise with the online billing system. When you first realize that there is a problem, you can quickly search through the community forum discussions to see if anyone else has experienced a similar problem with their billing system. If you don’t find your problem listed on the community forum, you can browse Wikipedia for additional information, and then if that does not turn up the results you need, you can contact the support team to help rectify your problems. You may want to consider licensing your own WHMCS software program to benefit from the stellar customer support and services provided by the billing system program, and if you are not interested in a long term buy, you can lease the product for as long as you like to test it out and play with the features.